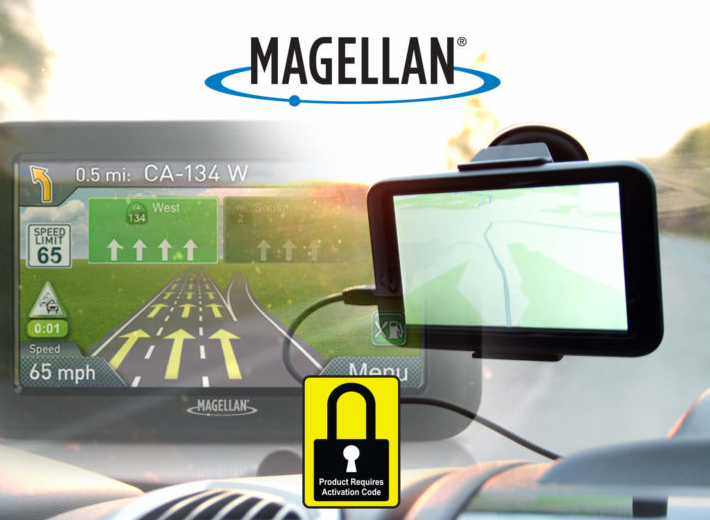 Today, the technology leader in digital asset protection is publicly announcing their collaboration with the major players in the GPS and Navigation industry such as: Garmin, Magellan, TomTom, and Rand. This past May, DiSa USA began by launching the open sell of tablets and rapidly revolutionized the retail industry and consumer shopping experience. Starting this September, top rated GPS and Navigation products will also be available in open sell format. For the very first time, retail consumers will have the ability to purchase Garmin, Magellan, TomTom, and Rand products directly off store shelves and will not be hindered by glass cases that require associate assistance. In turn, product sales are projected to increase, along with a reduction in labor costs. What role does DiSa play in benefiting the GPS and Navigation product industry? Digital Safety Point-of-Sale Activation, known as PoSA, keeps products non-functional until the customer inputs a 1-time activation code found on their receipt. This solution is globally certified and proven to be hack resistant, reducing associate and external theft. The process captures purchase data in real-time, eliminating return fraud and allowing for a hard-decline by customer service. Without the code, the product will not work, creating it useless to shoplifters which makes the open sale environment possible. It’s not the first time this year we’ve heard about Digital Safety. The technology DiSa USA has invented and implemented at manufacturing to store level is so ground breaking for product brands, retailers, and consumers that DiSa was awarded the highest honor in the asset protection community by the Retail Industry Leaders Association (RILA). RILA is the trade association of the world’s largest and most innovative retail companies. Its members include more than 200 retailers, product manufacturers, and service suppliers, which together account for more than $1.5 trillion in annual sales, millions of American jobs and more than 100,000 stores, manufacturing facilities and distribution centers domestically and abroad. This past April, DiSa surpassed its competitors and won the 2017 (R)Tech Asset Protection: Innovation Award. What’s next for Digital Safety USA? This landmark partnership between DiSa USA and the leaders of the GPS and Navigation industry is just the beginning of retail categories looking to secure their products with Digital Safety USA. CEO Adam Hartway from Scottsdale, Arizona says, “Over the upcoming months, we will continue to see growth from DiSa USA. From the number of retailers engaged and within future product categories like computing and video.” Adam goes on to share his excitement for the industry and his dedication to the asset protection community.